San Diego alt-rockers Machines Learning, comprised of guitarist/vocalist Paul Williams Balmer, bassist Bradley Botbyl and drummer Mario Quintero, have released a 26-minute EP’s worth of material recorded in a three month period at the start of 2012. Alternately noisy, droney and trippy, the album recalls some of the classic guitar-based rock that was coming from both sides of the Atlantic in the early ’90’s. For example, opening track Bulletproof Tiger practically screams My Bloody Valentine at you, with excellent droning and distorted waves of shoegaze guitar, over a militant 4/4 beat and across some elegantly wasted vocals. The briefest of pauses in the middle quickly gives way to a menacing wall of sound pushing the listener remorselessly into Punching The Rabbit. This opens with some very fuzzed out bass from Bradley Botbyl, bringing to mind Ash’s noisier moments, and some crytic lyrics; what the words mean is a definite second to how they sound. 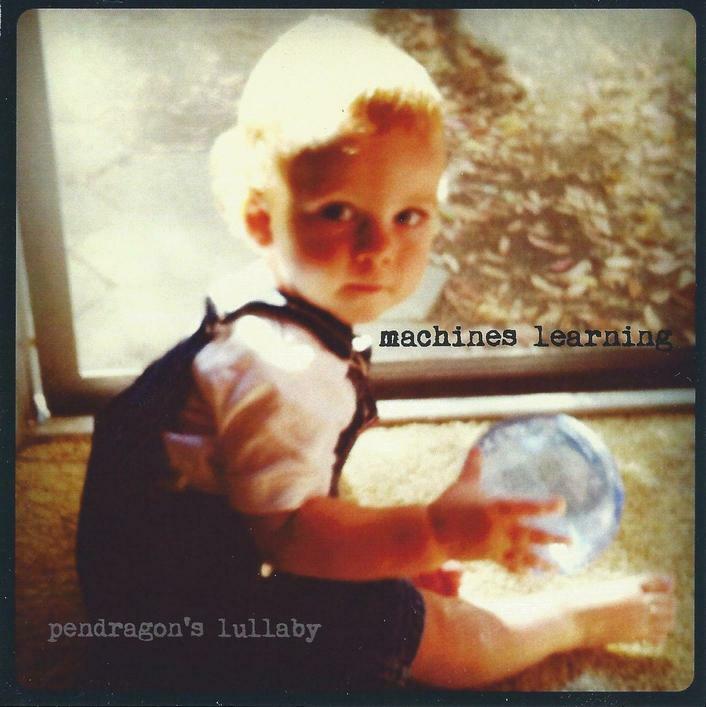 The somewhat more sparse Pendragon’s Lullaby recalls The Smashing Pumpkins’ Mellon Collie And The Infinite Sadness album that was playing at evey student party back in 1995. satAMcoffee opens with droning feedback and slower tempo, grinding you implacably down over its four minute length, while 010710 has a lighter touch with very melodic bass and melancholic lyrics to match. Closing track, This Destroyed Me, dispenses entirely with vocals, rocking on in woozy fashion for about five minutes with grinding guitars and an almost post-rock sound, that descends into a white noise coda. Fans of that era of classic “downer” rock should check out the raw guitar noises, droning feedback and powerful rhythmns contained within this excellent debut release.